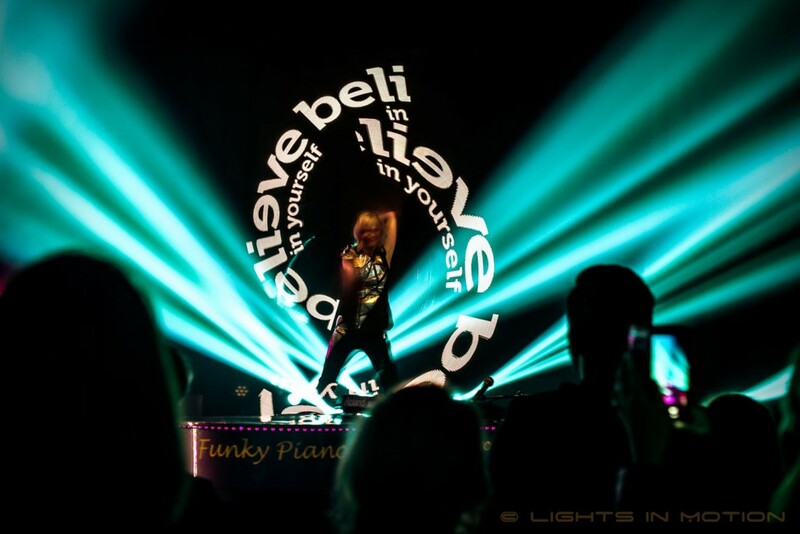 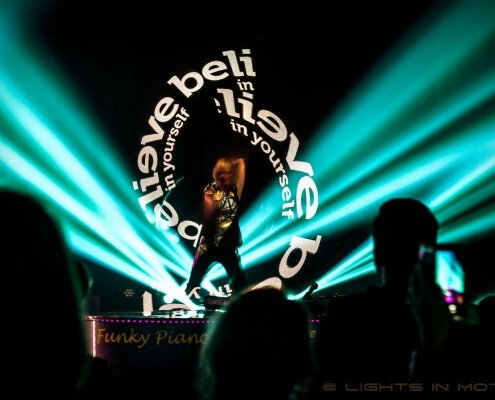 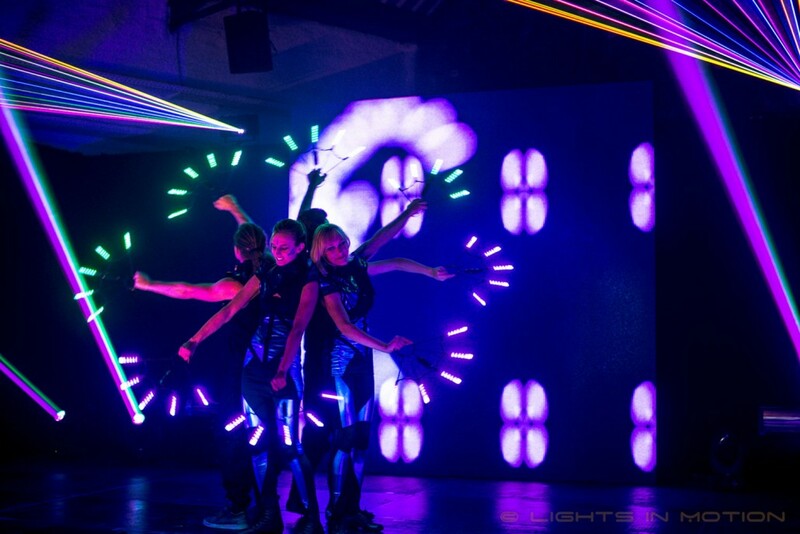 Lights in Motion specializes in live entertainment with LED and Light. 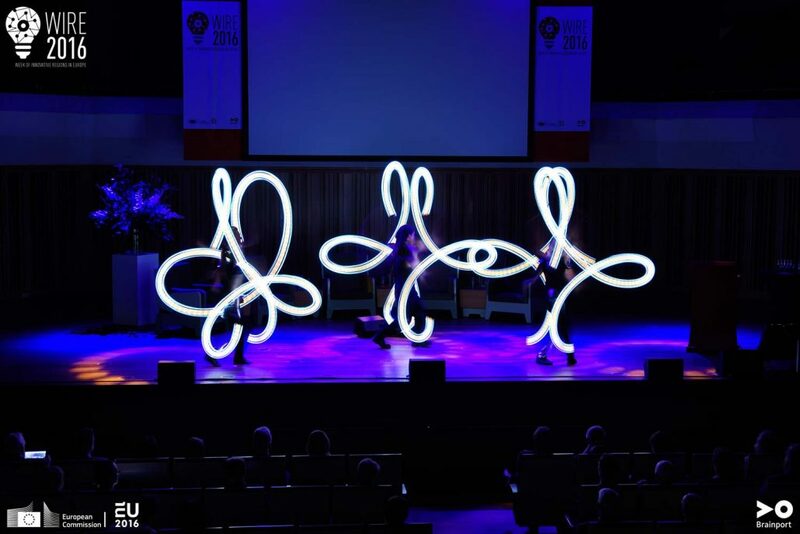 With great passion and pleasure we provide shows with Poi, Staff, Hoop Dance, Fans and Buugeng, as you have never seen before! 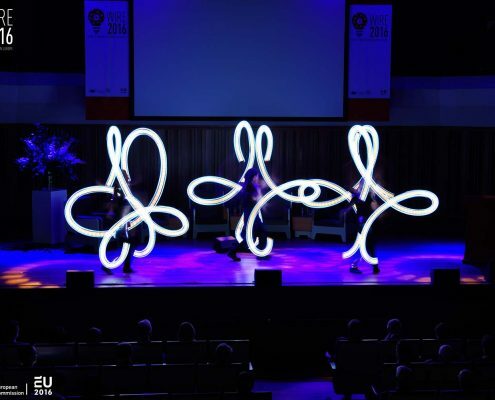 Dutch top artists within the field of flow art will surprise you with their skills. 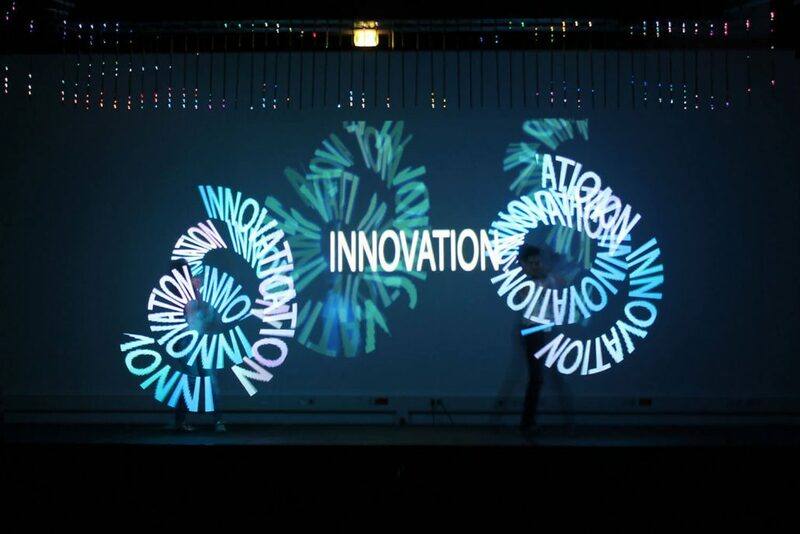 Besides exquisite entertainment we additionally offer you the opportunity to intergrate custom content such as logos, text and images in our shows. 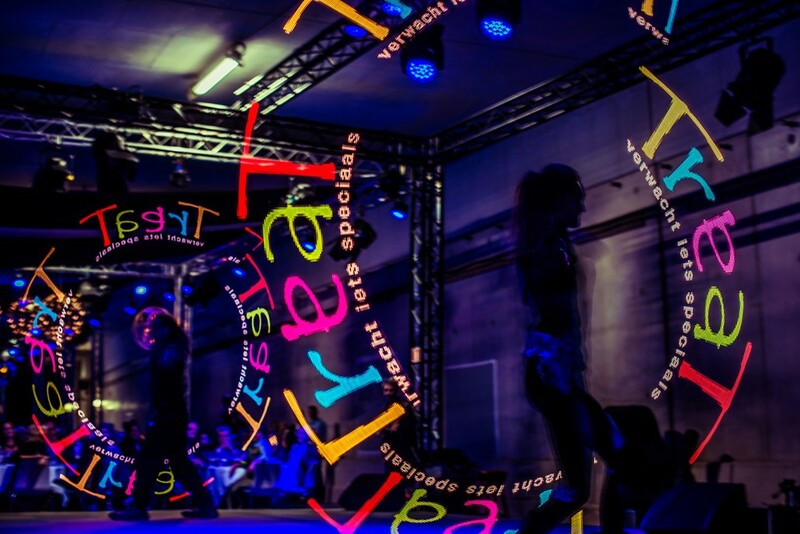 In a surprising way, we will present your theme and message to your audience. 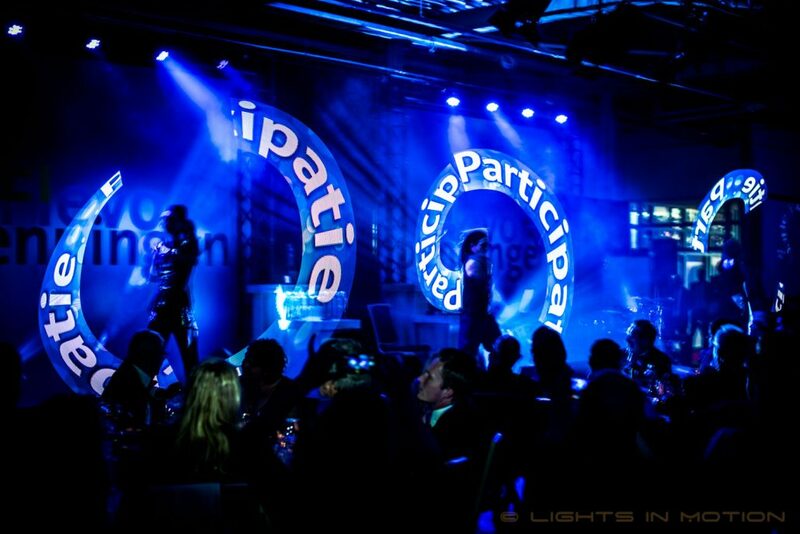 For larger productions make sure to have a look at our LED show Reflections. 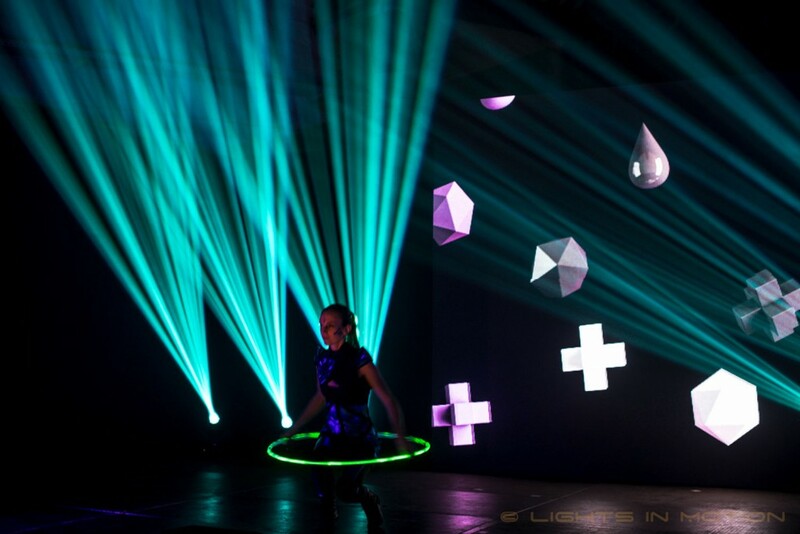 LED by Light is an energetic LED Poi act. 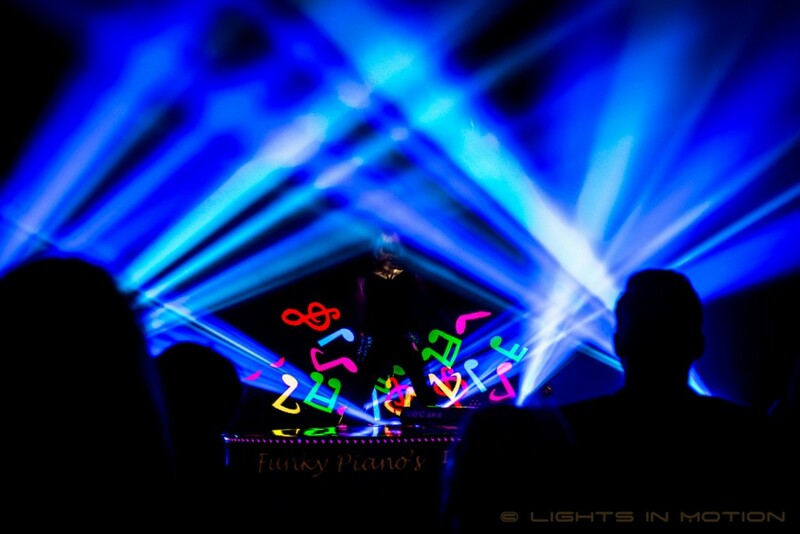 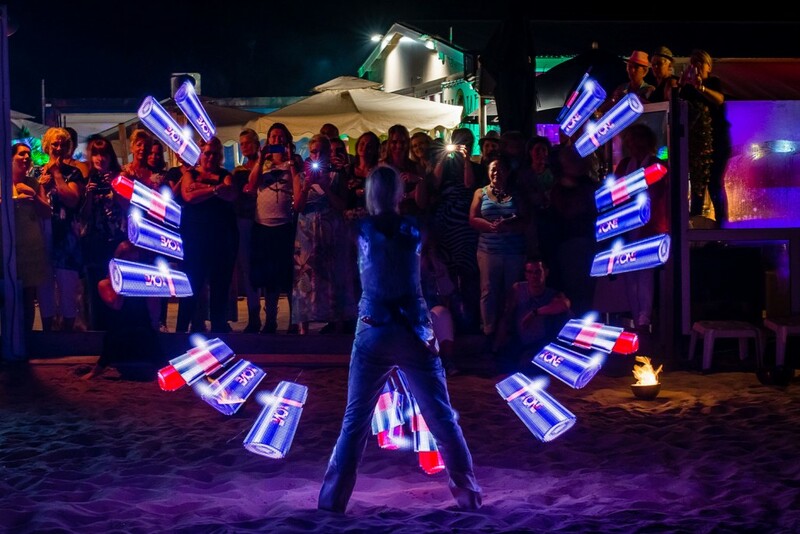 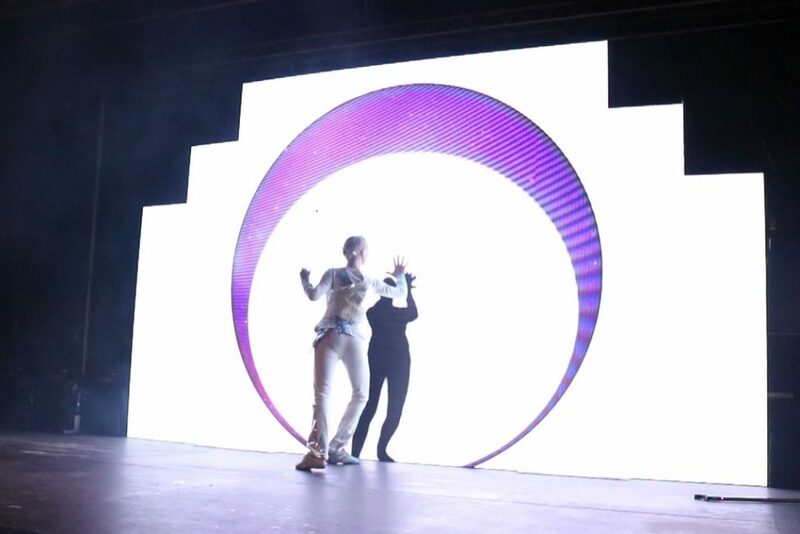 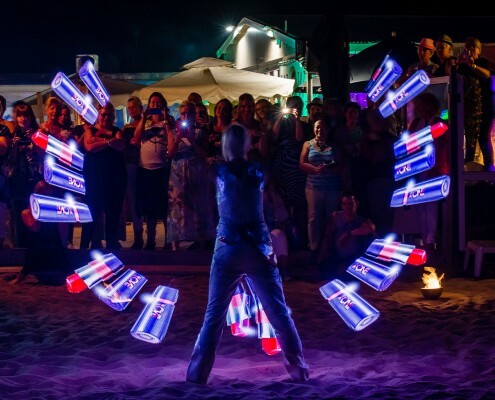 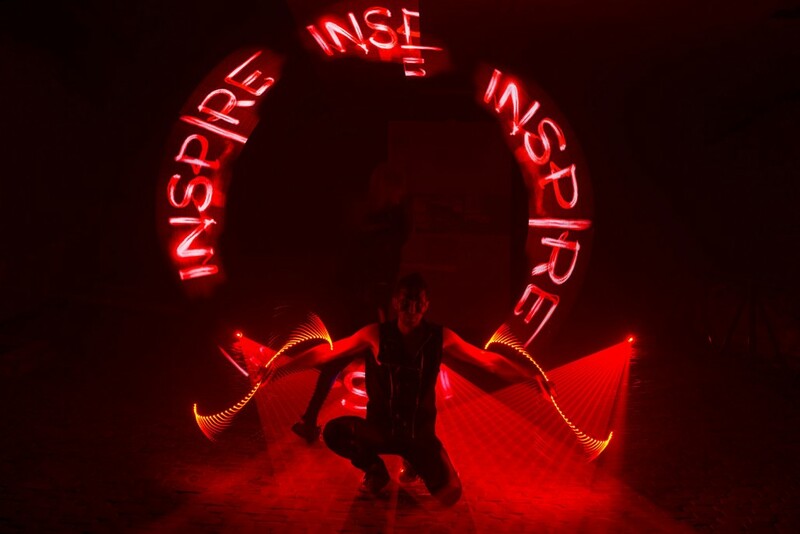 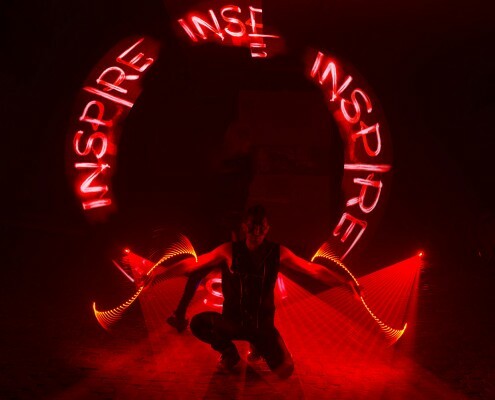 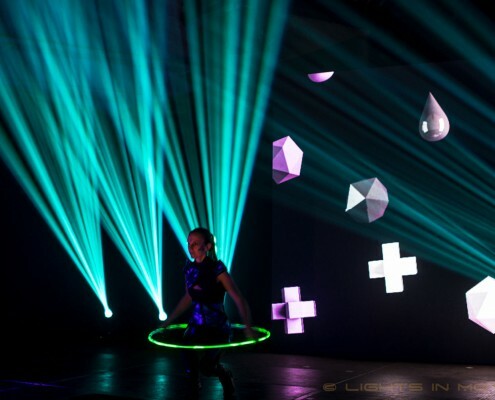 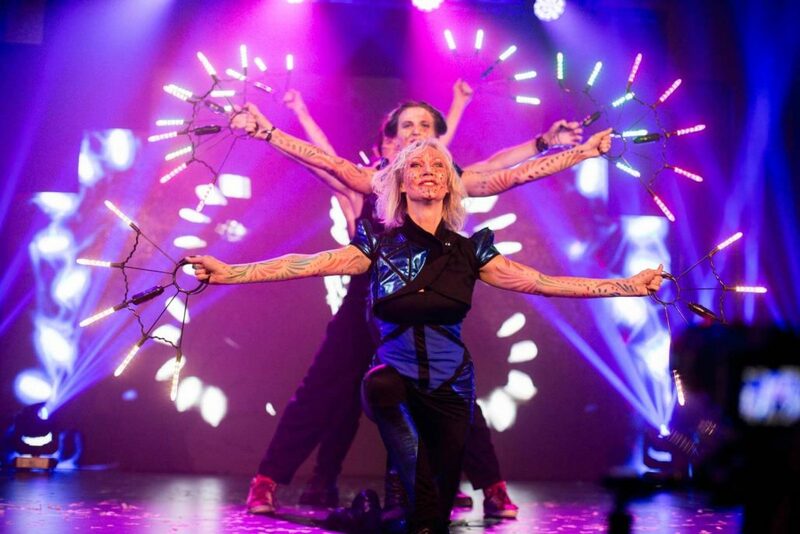 High level Poi spinning, advanced LED technology and Visual Poi are combined to a dazzling visual spectacle. 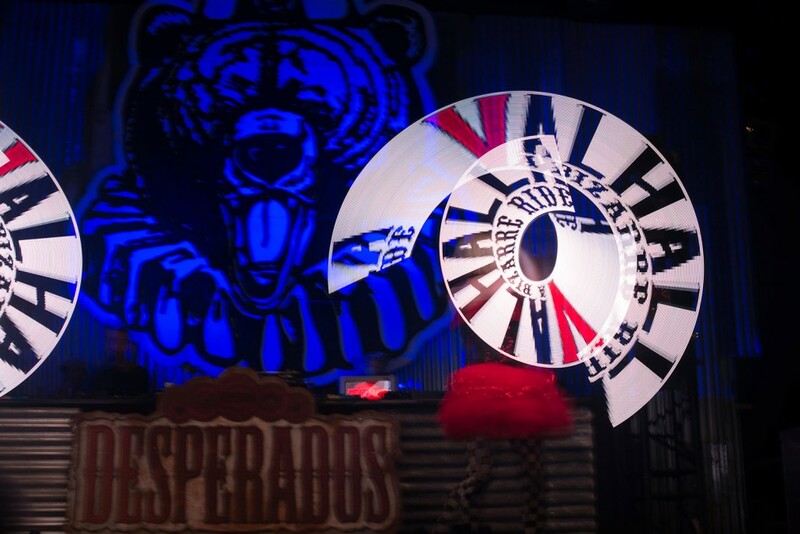 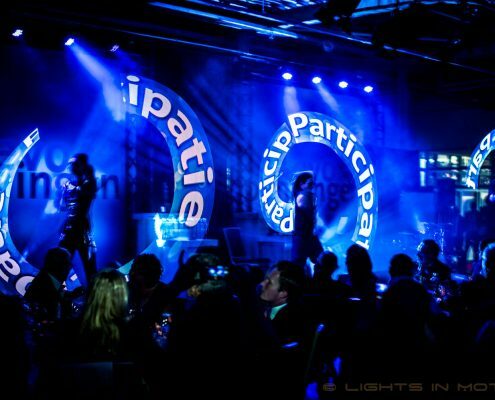 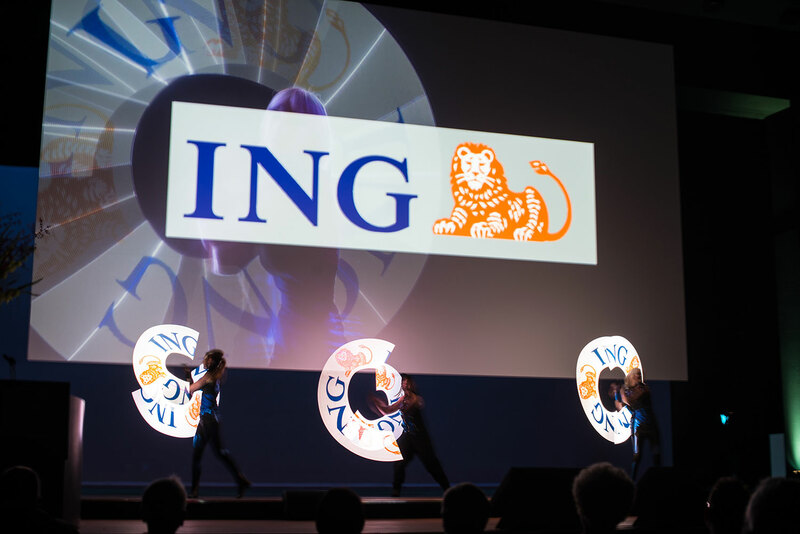 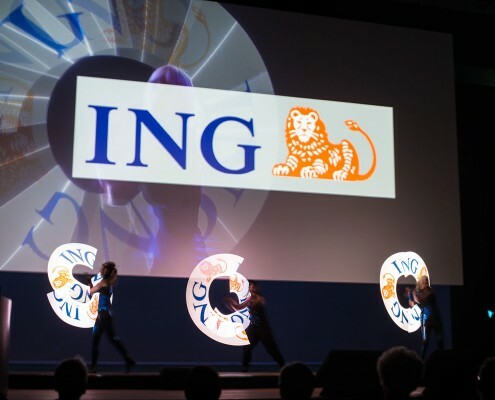 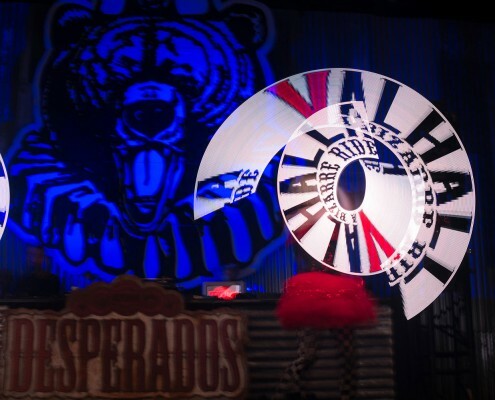 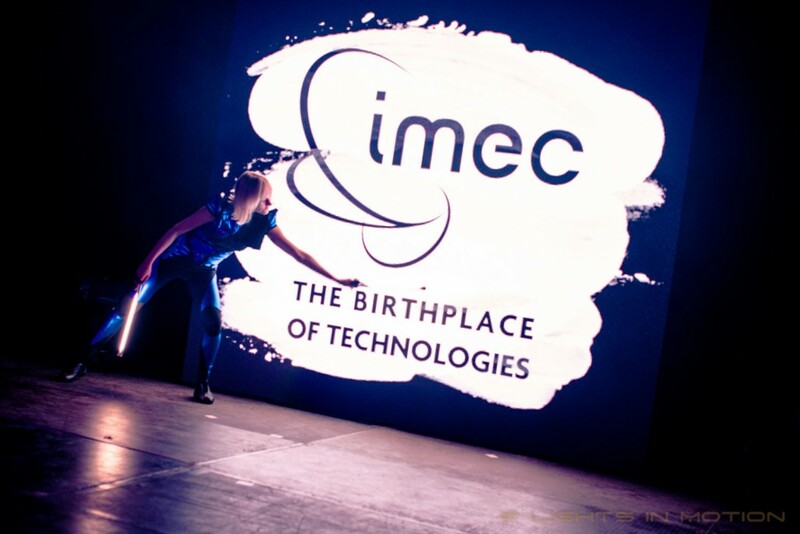 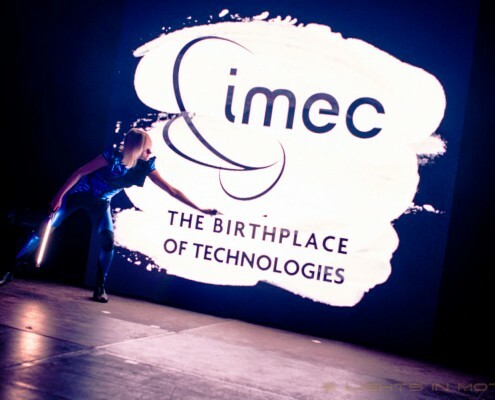 Our spectacular Visual Poi is programmed in a wonderful way with your text, logos, photos and graphics of your choice. 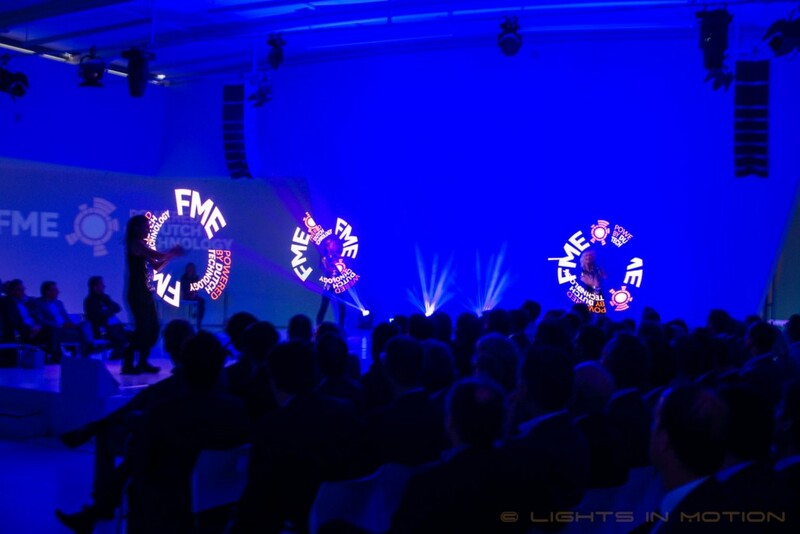 Technically we can program an unlimited number of logos and content in this latest generation of LED tools. 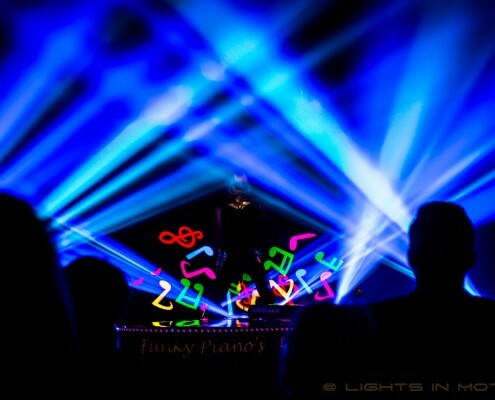 LED show Lumination is a colorful and visual spectacle. 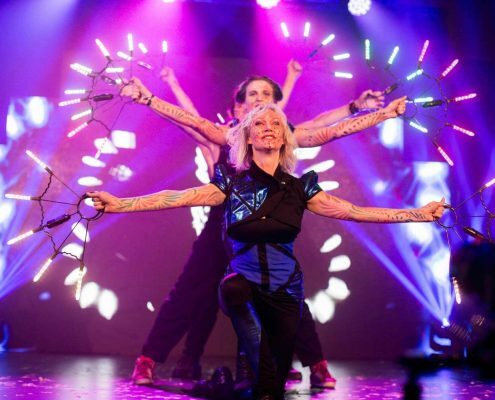 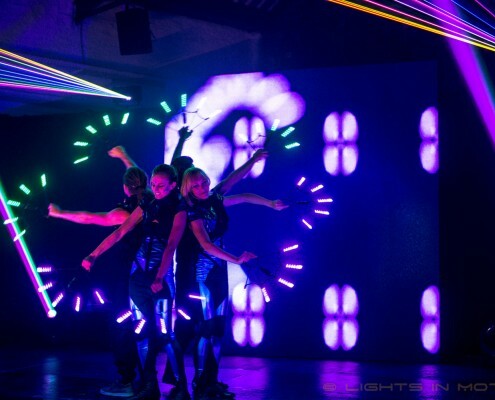 Several artists perform a spectacular and tightly choreographed show with high-tech LED tools, dance, various flow art disciplines and our programmed Visual Poi. 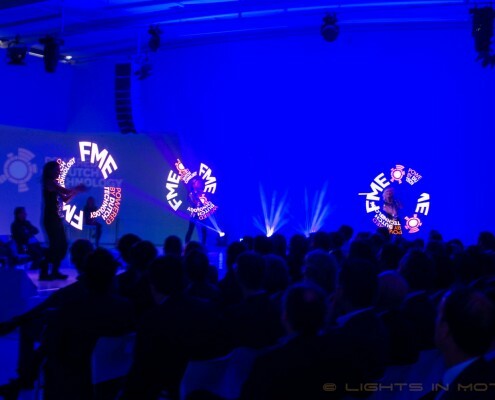 Due to its dynamic character LED show Lumination suits perfectly as opening or close act of your event. 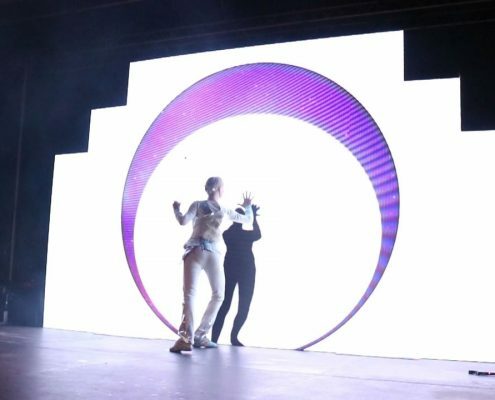 With LED show Reflections we do not only provide great and distinctive entertainment, but we also offer you the opportunity to integrate custom content in the show. 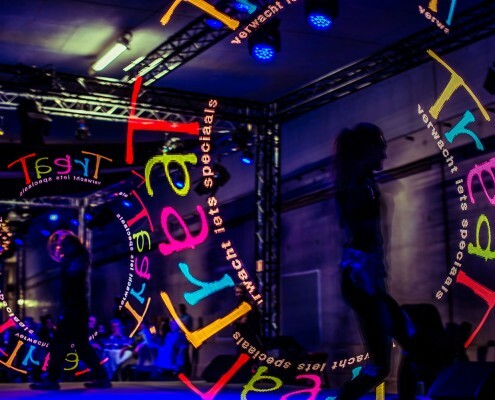 In a variety of creative ways your content will be presented to the audience. 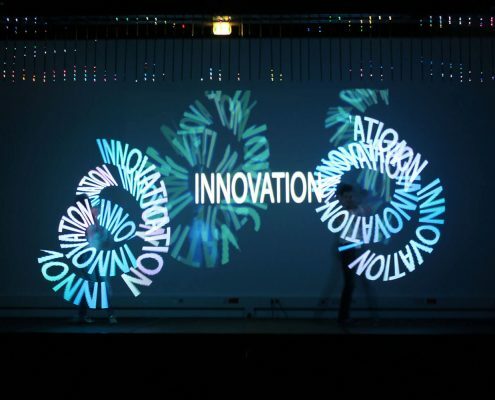 The show lends itself perfectly for brand, product or theme presentations.